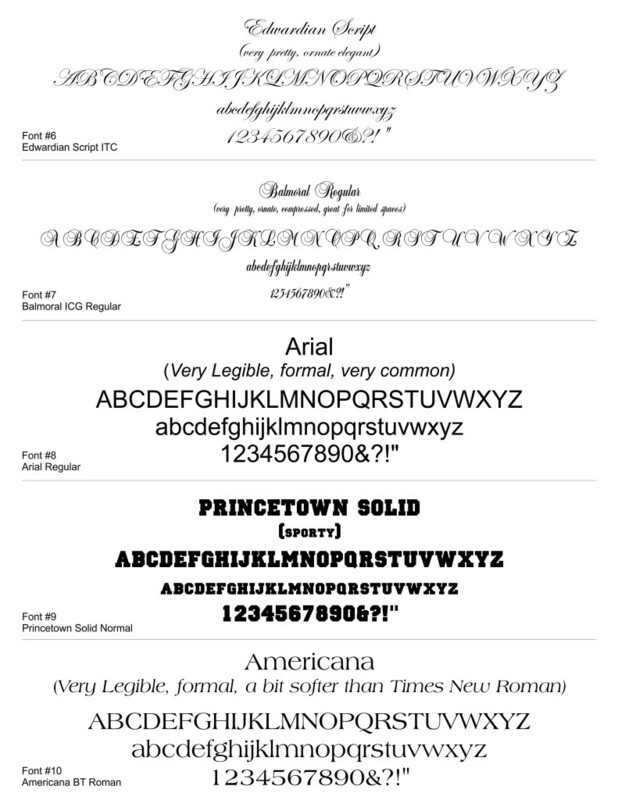 We have many fonts available. 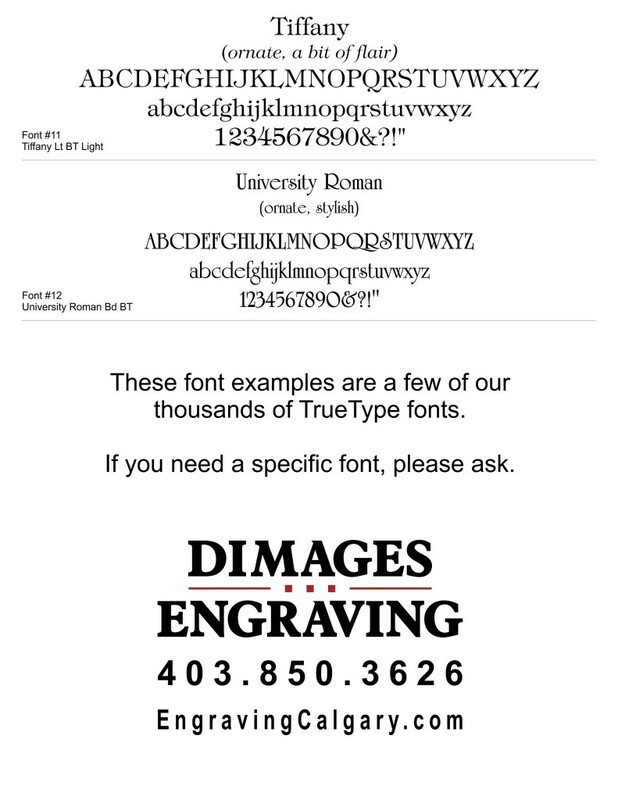 Choosing a font should be about simplicity and readability. If you have to stare at it to read what it says, it is a bad choice. 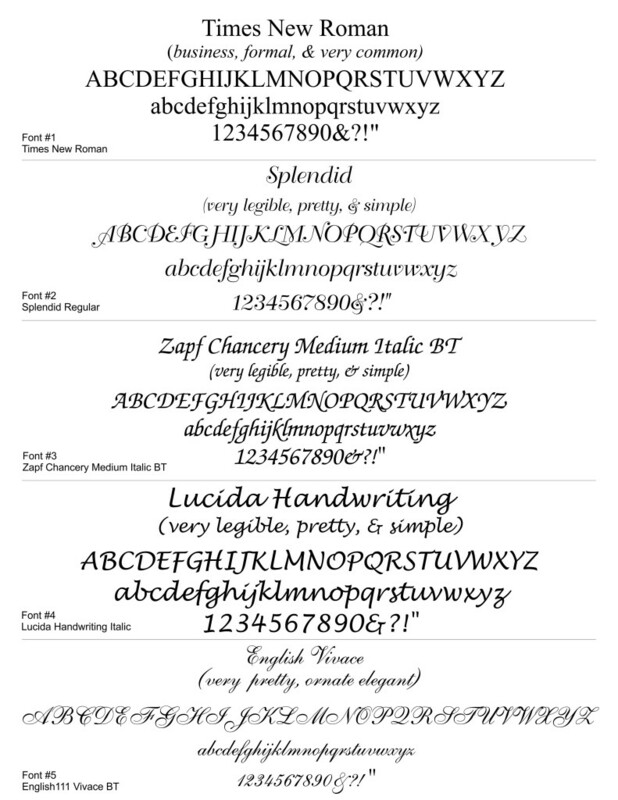 We have included a few of our most popular fonts to make your choice of font easier for you.